The annual Philadelphia Asian American Film Festival is here for 11 glorious days! APAMSA members, check your e-mail for info about volunteering. Jump to after the break if you want to see the diverse line-up of amazing films, workshops, & more! It's been 40 years since the Vietnam War ended. 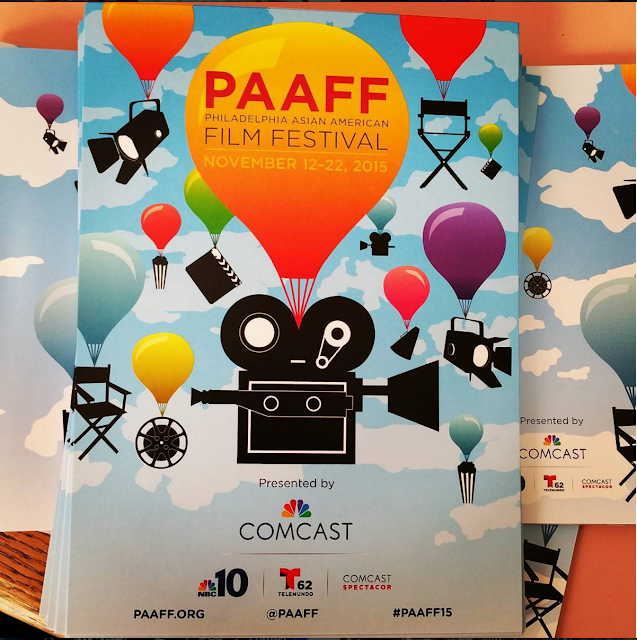 Our world today needs organizations like the PAAFF to shine light on how far we've come as a community and also to explore where else we can go together. The 8th film festival begins November 12th, and the line-up this year honors the diverse and wonderful Asian American community. What's unique about the PAAFF is that those who choose to attend the screenings and workshops are not from one ethnic background--support for PAAFF comes from all backgrounds, including ours! Football documentary about the Polynesian community in Salt Lake City, Utah, "one of the chief sources for the modern influx of Pacific Islander NFLers." "Strength in Numbers": A centerpiece event with music videos, live performances, + panel discussion of "guests curated by producer and emcee Scott CHOPS Jung of Philly's legendary Mountain Brothers, the first Asian American Hip Hop group signed to a major record label." "Miss India America"--a comedy exploring the concepts of ambition and sacrifice, starring Tiya Sircar, Hannah Simone (Cece in New Girl), and Kosha Patel. "Miss India America" filmmakers are expected to be in attendance for a post-film Q&A. Jessica Cox, a "Filipina American born without arms, who became the first person licensed to pilot an airplane with her feet." Jessica Cox and her husband, Patrick Chamberlain, will also be in attendance for a post-film Q&A! And wow--more, more, more after the jump! Philadelphia Asian American Film Festival (PAAFF) opens on Thursday, November 12th with South Korean teen comedy "Seoul Searching" by award-winning Director Benson Lee. Benson Lee is also expected to be in attendance for a very special Q &A session after the film. As if that isn't amazing enough, PAAFF will also have an Opening Night Reception after with 80s dance music and a costume contest (who doesn't love dressing up?)! "Seoul Searching" is actually inspired by Benson Lee's summer camp exchange experience in the 1980s. The booklet of programs, captured and posted below just for you! Philly APAMSA would like to extend a huge thank you to Asian Arts Initiative for connecting us with such wonderful organizations in Philly, like Philadelphia Asian American Film Festival! We're all coming together for our community.